Nobody Cares is Anne T. Donahue's first book, a collection of essays about growing up, getting it together, and reconciling what it means to be a work in progress. 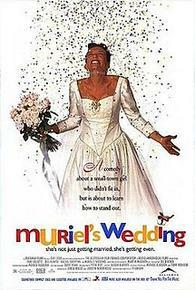 49th Shelf: In your book you espouse some pretty controversial views—you hate cheese AND show a disregard for Muriel's Wedding. Do you worry at all about alienating cheese-loving Toni Collette fans? Anne T. Donahue: Absolutely not. First, because I have every line spoken by Toni Collette in The Sixth Sense memorized and aspire to be more like that character on a daily basis, so I recognize her as both a Queen and God. Second, because my hatred of cheese is no secret. I've tweeted about it, mentioned it on podcasts, and ordered cheese-less pizza for years. As a result, the dairy lobby's been after me for years. And while that is an absolute lie, I'm ready for when they finally declare me their enemy. 49th Shelf: At the moment, the market is saturated with self-help books pushing women to be "more" and "better." You take a different approach, and write about owning your failures, and even the importance of failure to process in general. Do you see Nobody Cares as having a place in the self-help spectrum? ATD: I don't really, no. Maybe that's because it's so personal? Or because so much of writing it was actively working through things that have happened or that I've done. I also wrote it in the spirit of the newsletter I put out every week—which are always so selfish. I write those because they're what I (personally) need to hear at the time. Kind of like Julia Roberts in Stepmom giving Jena Malone real talk in the wake of that terrible boy at school. Only I'm both Julia Roberts and Jena Malone. I did try to be inclusive. And to be aware that while these are personal stories, they need to be more than just journal entries. So I also wrote them hoping they'd resonate or maybe make someone reading feel less alone—or be the thing someone needs to hear the way I needed to hear something once. But I don't think that constitutes self-help. Mainly because a lot of these "lessons" are delivered via experiences I wouldn't recommend. I also wrote [these essays] hoping they'd resonate or maybe make someone reading feel less alone... But I don't think that constitutes self-help. Mainly because a lot of these "lessons" are delivered via experiences I wouldn't recommend. 49th Shelf: Can you talk about the importance of striking a balance between owning your failures, but also your successes as well? For women, sometimes it's too easy to construct a narrative out of being a madcap heroine moving from one zany scrape to another. Were you conscious of this—as a woman with success to show for—when you wrote your book? ATD: See, this is where good editors come in. When I sat down to write this book, I was very much in the realm of "Oh wow, look at me! I'm going to write about this, that, and the other!" with no rhyme or reason or focus. And it was [my editors] Jen [Knoch] and Crissy [Calhoun] who really pushed me to look outside of myself and to anchor these stories in something other than, "This happened! That's it! Bananas, right?" They were the ones who reminded me that to deliver something honest and authentic, I had to go deeper into the past and into what certain experiences meant and what the point of sharing these stories were. And I think for many of these essays, the point was being a person and being human and being the things those words mean. And sometimes we get to be successful! And other times we get to fail. I don't even think there's a before and after, really. I think we're just the sum of our parts—all the good and the bad. So leaning into that made it easier to write honestly instead of creating this myth of having failed then never having failed again. "Sometimes we get to be successful! And other times we get to fail. I don't even think there's a before and after, really. I think we're just the sum of our parts—all the good and the bad." 49th Shelf: What is the freedom in realizing, as your title brilliantly states that "nobody cares"? Can you talk about this revelation? ATD: Well thank you! And I can 100% talk about this. So to start, there's this quote from The Office where Michael interrupts Toby by knocking on the glass behind him and yelling, "Nobody cares." And my best friends and I started saying that whenever we were annoyed about something, or someone, because it's a perfect quote. But it wasn't until my Uncle died at the end of 2016 did it begin to evolve from "thing you say about someone who thinks they're very cool and important" to "thing that began to resonate with me in a different way." Which sounds a lot more strange and morose than it is. He got sick very quickly and died suddenly and it was terrible. But that whole experience—the visitation, the funeral, the wake, all of it—was a hard reminder that we're all a lot more than our social media, than our achievements, than the superficialities we define ourselves by. Like, no one was standing around the wake saying, "But he didn't even have a Twitter account." Which isn't to say I've stopped caring about those things—I'm a person and therefore I am shallow, obviously—but it was that reminder that no one is preoccupied with the things about us that we're preoccupied with. No one is judging us the way we're judging ourselves, no one is thinking about that exchange we had at that party once the way we're thinking about it still. I mean, maybe some people are—our enemies, maybe? Or absolute freaks. But truly, nobody cares. It's great! No one is judging us the way we're judging ourselves, no one is thinking about that exchange we had at that party once the way we're thinking about it still. I mean, maybe some people are—our enemies, maybe? Or absolute freaks. But truly, nobody cares. It's great! 49th Shelf: In one essay, about jealousy and comparing yourself to others, you write "Be Don Draper." And then you acknowledge there is precisely one instance where this is applicable advice, which is when Don says to Ginsburg, "I don't think about you at all." And I love that line too—except that Don Draper is totally lying. (Don Draper is always lying.) He thinks about Ginsburg all the time. So it is even possible, is what I'm asking you. Maybe more accurate advice might be, "Be better than Don Draper." Which is useful in general. What do you think? ATD: I stand by my original point! But you're right! Don was truly obsessed with Ginsburg's ice ad which he didn't bring into the pitch meeting because he was threatened by it and by Ginsburg entirely. 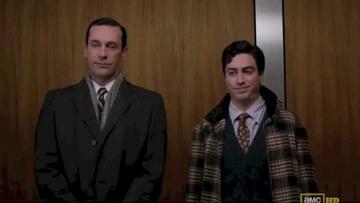 I mean, I could go deep on Mad Men (and would love to! Anytime you want to do an interview about my obsession with that show, I'm very, very in!) but I think the face value of that exchange—that perfect timing, the way he shuts down Ginsburg whose emotions are completely betraying him, the way he doesn't even look at him—that's what I think about when I relay that advice. Even if he's lying, it's still a very powerful sentiment. And I mean, of course we think about people we don't like or are comparing ourselves to. But I also love a mantra, and that's one I've found is super useful. Another Don Draperism would be "It will shock you how much it never happened." A true classic. Another lie, because Don is chased by his past constantly, but I love it. That said, obviously we should all be better than Don Draper. His whole life is a lie. He's a very messed-up and at-times incredibly bad person who wants to get better without doing anything to get better. He learns next to nothing over the course of a decade. But damn it, I don't think about you at all until the day I die. 49th Shelf: What role has your newsletter played in your writing career? What have you learned from the process of writing it, and why has it been such an ideal medium for you—as opposed to say, a blog, or long posts on Facebook? ATD: Oh man, I hate long Facebook posts so much. Is that controversial to say? I don't care. As soon as I see a post on Facebook or Instagram that's longer than three sentences I whisper "No" out loud and move on forever. And I used to have a blog! It's been deleted for years and I'm thankful—it was terrible and very boring but also incredibly self-serious because I was 25 and trying to seem very important and cool. And neither of those things were true. So goodbye. But the newsletter was this space that could be mine and it was a space for those who actively signed up to be there. And that was very freeing: like, I can write what I need to work through, and the only people who could/would read it were people who subscribed. It's public, but less public. (I mean, not really—you can access the archives without a subscription, but it was the illusion of being less-public, I think.) And from there, I learned to be less afraid of writing personally, and less afraid of being vulnerable and honest. And that's when ECW came to me and asked if I wanted to write a book—which was the week after my Uncle's funeral, fitting and odd and heart-wrenching as it was. So without the newsletter, I'm not sure if there'd be a book at all. 49th Shelf: The final essay in your book is "Hometown Glory," about making peace with loving the place you come from. Because of its placement in the book and certain tones, it kind of reminded me of a subversive take on Joan Didion's "Goodbye To All That." And I want to know this, because you are a woman who writes nonfiction and also a person who knows her preferences, including cheese—what's your take on Didion? Do you think of her at all? 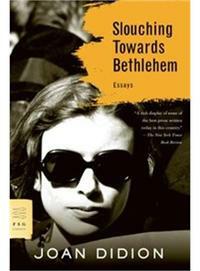 ATD: This is going to sound so "I don't think about you at all" and "I don't know her" but I've never read Didion! I KNOW. I'm a bad person and a terrible woman and writer. But it isn't because of Joan Didion as an author or storyteller or memoirist—I just came to know her during the year I lived in Toronto and was so, so, so miserable and sad. And while my friends were actively reading her, I couldn't because I knew how much her work resonated on this emotional level and the emotions she tended to evoke, and I couldn't deal with those while trying to deal with mine. And then, as we know from my book, it took a few years to get out of the Bell Jar. And I knew that if I read someone like Didion while sifting through my own feelings, I'd end up projecting and wouldn't enjoy her work at all. So right now, she is a writer I admire for her honesty and one I think will mean a lot to me when I finally get to her work. But she didn't need to get mixed up in my own nonsense. Nobody needs that! Especially not Joan Didion. 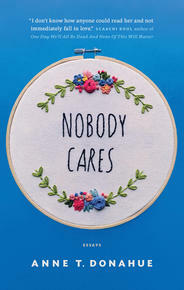 From the author of the popular newsletter "That’s What She Said," Nobody Cares is a frank, funny personal essay collection about work, failure, friendship, and the messy business of being alive in your twenties and thirties. As she shares her hard-won insights from screwing up, growing up, and trying to find her own path, Anne T. Donahue’s debut book offers all the honesty, laughs, and reassurance of a late-night phone call with your best friend. Whether she’s giving a signature pep talk, railing against summer, or describing her own mental health struggles, Anne reminds us that failure is normal, saying no to things is liberating, and that we’re all a bunch of beautiful disasters—and she wouldn’t have it any other way.